Delel Chaabouni has been the Chief Information Officer for the Middle East and North Africa region at PepsiCo leading the company’s digital transformation agenda. 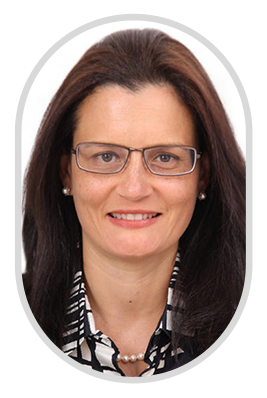 With two decades of experience behind her, Delel has successfully delivered turnaround strategies in major international business transformation, IT implementation, and digital programs. Her previous experience includes working with global names such as Hewlett Packard, KPMG and the Dubai World Trade Centre. Beyond her role as CIO, Delel has an ACC certification from the International Coaching Federation, is ORSC-trained in team and relationship coaching, and is also a HOGAN certified coach. She has coached more than 40 PepsiCo Executives from director levels to senior vice presidents. Delel is also an active advocate for women in STEM (Science, Technology, Engineering and Mathematics) careers. She created the first Million Women Mentor Chapter in Riyadh, Saudi Arabia (First in AMENA) and is a member of the Emirates Government Foundation Think Science Program Advisory Committee which aims to support, encourage and empower the youth of UAE to embrace a future in science.